Academy has ploughed a field and found a new award! The British Academy of Film and Television Arts has announced that it is introducing a social network game category to its gaming awards. Never one to miss hitching a ride on a bandwagon, the rise and rise of the likes of Farmville and Mafia Wars has led to BAFTA introducing a whole new category. Ray Maguire, Chairman of BAFTA's Video Games Committee, said: "The rise in popularity and sophistication of social media gaming has been meteoric. "It is only right to recognise the hard work, fantastic creativity and great success being demonstrated in this new area of the industry. "As a result, BAFTA is very proud to announce the new category of Social Network Game as part of the upcoming Awards." 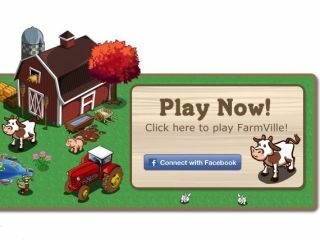 Expect Zynga to feature heavily – the San Francisco-based developer is responsible for some of the most recognisable names in the genre.